Hollywood, CA, then Washington D.C., then Mesa, AZ. Publisher: New Thought Alliance / International New Thought Alliance. 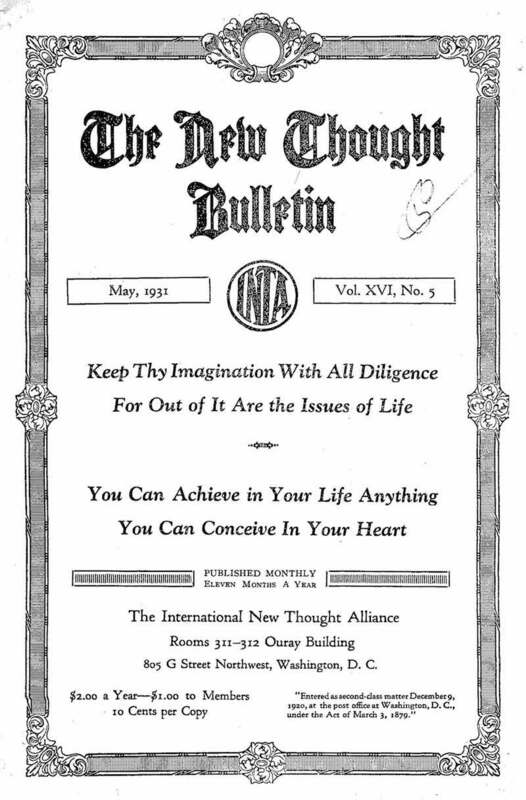 Organizational bulletin of the activities of the NTA/INTA, with occasional articles on New Thought. LOC; Union Theological Seminary; Graduate Theological Union Library; Southern Methodist University; Alliance for Higher Education (Texas); NYPL.